RS French is one of the largest providers of secure site units in Kent, offering a wide range of units including storage containers, welfare units, Anti-Vandal (AV) units, modular units, flat-packed containers, toilet hire and transport. Perfect for remotely located construction sites or events where space is a premium. These toilets are ideal if you do not have mains water and fowl drainage on site. They are completely self contained and will be fully functional in the most remote of locations. These toilets can be located up to 10m from the point where the service vehicle needs to park in order to carry out the regular servicing. 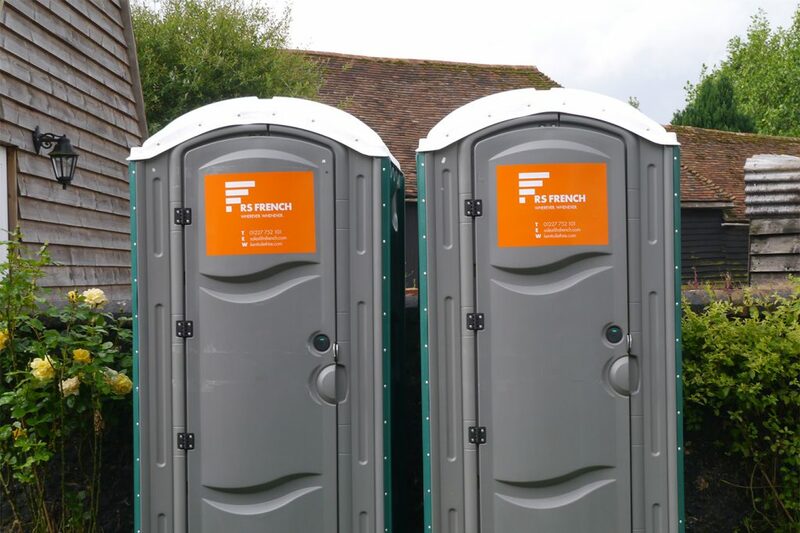 These toilets are highly durable and have a robust design ideal for construction sites or public events. HSE approved wash basins allow for users to fully wash their hands, face and forearms. How many chemical toilets will I need? The number of people you have on a site, or attending an event, will influence how many toilets you will need. A good site will allow for 1 toilet per 7 people on site. Read ourchemical toilet guide for the minimum number of toilets you should have available according to the number of users on a construction site or event. In order to meet Health and Safety requirements, construction site toilets, must be kept ventilated, well lit and clean with a wash basin large enough for users to wash their hands, face and forearms in. Both hot and cold water, or warm, running water, by law, should be provided for construction workers to wash their hands immediately after using the provided toilet. Our hire fleet have been carefully selected to meet current HSE regulations where reasonably practicable. Please note, it is your responsibility as the customer to keep both the interior and the exterior of the units in a clean and tidy condition. Standard household products can be used on our units during the term of hire. Cleaning of units is not included in our prices.